The government of Ghana has undertaken measures to create industrial zones to decentralize development. President Nana Akufo-Addo had announced a number of both immediate and long term policies to support its industrial agenda and expand production. Akufo Addo said, Ghana has set activities in motion to create industrial zones across the country, thereby making efforts to decentralize development is also evident in the moves the government is making. This is also part of the administration’s ten point agenda. 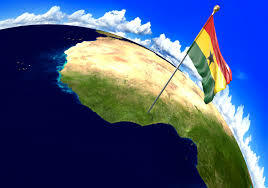 It hopes to develop an industrial park in each of Ghana’s 10 regions. It will also build on the work of the GFZB, which is establishing export processing zones around the country. The President added that the Shama facility, located on the seafront, will serve the downstream oil and gas industry, providing opportunities for refineries. Meanwhile, supply chain and logistics firms will serve chemicals and downstream activity. In Sekondi, the GFZB has signed a memorandum of understanding with Hassan Investment, a Chinese firm, to develop the zone. The company has already reached an agreement with Bosai Mineral Group, Dazhon Iron and Steel Group, and First Sunergy as anchor tenants for the new zone. In the two decades between the start of the free zones programme in 1996 and 2016, companies operating in such areas made investments totalling $3.4 billion and generated $30.9 billion worth of exports. In 2016 capital investments were valued at $270.7 million, while exports reached $2.3 billion. By the end of 2016, 201 companies were operating in Ghanaian free zones and were employing just over 30,000 workers.